Climate change could allow non-native species to more readily out-compete native species altering the population dynamics of biological communities in the lower the Coos watershed. Invasive tunicate (Didemnum vexillum) infestation. 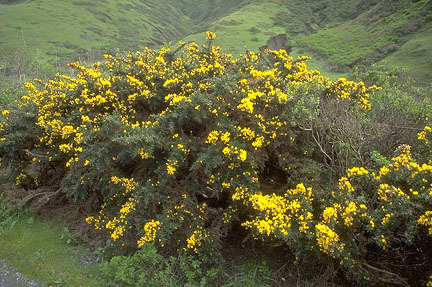 Gorse. Photo: David Dalton, Reed College. species invasions and range expansions. species introductions will likely change. non-native species to out-compete them and fill their ecological niches (OCCRI 2010). recent decades (OCCRI 2010, Grantham et al. may enhance the success of invasive species. structure in estuaries (Stachowicz et al. will be affected by warming ocean waters. non-native species releases into local environments. maturation and return rates (Wells et al. leading to an increase in shad populations. 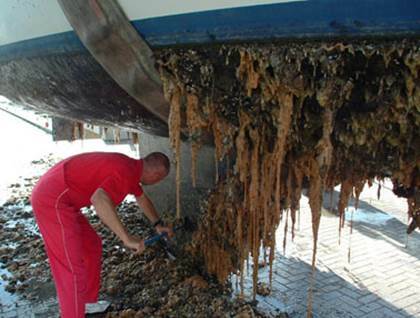 become more inundated with marine water. freshwater wetlands located in tidal systems. nutrient abundance in coastal waters. replace surface waters moved by the wind. Source: Peterson et al. 2013, Iles et al. the spread of invasive species (OCCRI 2010). shaping ecological communities (Davis et al. experienced increased intensity of coastal upwelling. that drive upwelling are likely to be minimal. effects on marine and estuarine organisms. industrial revolution to about 8.1 today. ranging from 0.05 to 0.15 units). and 3) Future greenhouse gas emissions. longer into the future the model predicts. habitat will increase (Bury and Whelan 1984). J.M. Bane, A.R. Kirincich, M.A. McManus, K.J. Nielsen, S.D. Pierce, and L. Washburn. 2007.
of Sciences of the United States of America. R. J.Hobbs, M. Pellant, and D. Pyke. 2004. Effects of invasive alien plants on fire regimes. E. Wright, R. Namitz, J. Bragg, B. Tanner. Research Reserve and Coos Watershed Association. Eno, N.C., Clark, R.A., and Sanderson, W.G. M. Warner, A. Devol, C. Krembs, and C. Maloy. carbonate saturation in an urbanized estuary. Oyster Growers Association, Ocean Park, WA. Grantham, B., F. Chan, K. Nielsen, D. Fox, J.
Barth, A. Huyer, J. Lubchenco, and B. Menge. Iles, A. C., T. C. Gouhier, B. A. Menge, J. S.
Stewart, A. J. Haupt, and M. C. Lynch. 2011. Current System. Climate Change Biology. Jewett, E.B., A.H. Hines and G.M. Ruiz. 2005.
for predicting response to tidal restoration. Laboratory (PMEL) Carbon Program. 2013. National Research Council (NRC). 2012. Norkko, J., D.C. Reed, K. Timmermann, A.
Norkko, B.G. Gustafsson, E. Bonsdorff, C.P. S.C. Doney, R.A. Feely, A. Gnanadesikan, N.
E. Maier-Reimer, R. Matear, P. Monfray, A.
R.D. Slater, I.J. Totterdell, M.F. Weirig, Y.
and its impacts on calcifying organisms. J. L. Fisher, B. J. Burke, and K. Fresh. 2013. Survival in the North California Current. Center of NOAA and Oregon State University]. Accessed 12 September 2016: http://www. Reed, D.J., Royer, T.C., Sallenger, A.H., and J.G. Titus. 2002. Climate change impacts on U.S.
of the Western Ecological Research Center]. Wells, B.K., C.B. Grimes and J.B. Waldvogel. and L. planaxis. Marine Biology, 39: 61-65.